Kicking, screaming, sliced fingers and a whole lotta stress. Yep that’s right, it’s nail cutting time. If the thought has you reaching for a Valium then check out these 7 hacks to make your next scissor venture a little easier. Seriously, who knew that cutting a young child’s nails could be so traumatic? And not just for you! 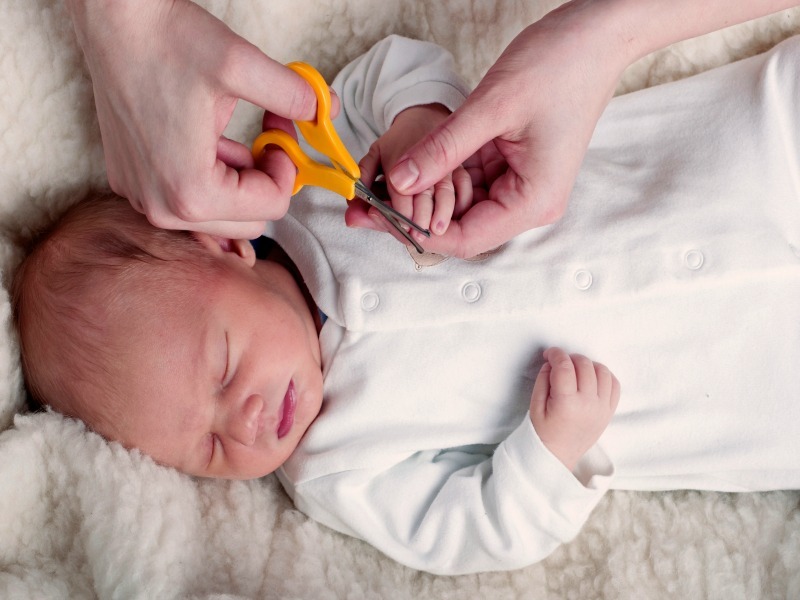 Even with baby nail cutting scissors I’ve sliced many of my poor children’s fingers or toes before, which isn’t hard to do when you’re being slapped or kicked in the face. So if you don’t want: a) hacked digits b) your neighbours to think you’re murdering your children or c) having to resort to tying your child to the table; then read these tips so you can finally take the stress out of cutting nails for good. Wait until they're in dreamland and then sneak in like a midnight manicurist and do your thing. Obviously for babies this is really easy but it even works with much older kids too - as long as they're in a really deep sleep. Check for heavy breathing first. What are your top nail cutting tips?